This bird harness and leash set is perfect for taking your feathered friend out of the house, anywhere you want to go! 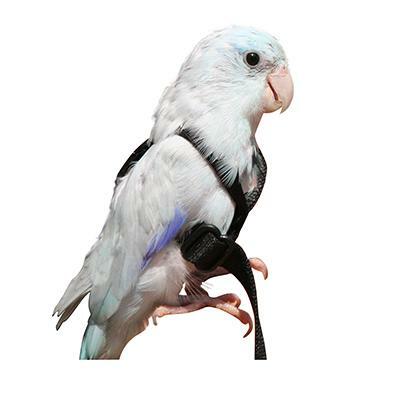 With an elastic safety leash permanently attached to the harness, your bird is safe from whiplash when they fly to the end of the tether. A 45 minute instructional DVD is included with every purchase. Small is suggested for Amazons, Timneh Grey, Yellow Collar Macaw, Small Cockatoos, Lori, and all Pionus.